If you are looking for best alternative methods for the free international call besides Facebook Messenger, Skype, Viber etc, keep on reading this post. Here we have listed some tested alternative methods for the free international call which were reviewed by NepSort’s Tech Group. 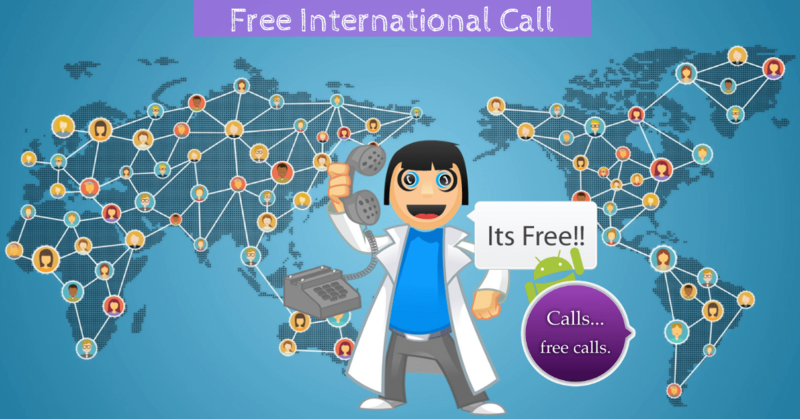 Free international call is possible and easy with tools like Skype, Viber and other VoIP apps and services. However, they do not allow you to make a call in mobile or landline number. Usually, free service of Facebook Messenger, Skype, Viber and other VoIP apps mandatorily necessarily to be people using the same service on both ends. But these days Viber and Skype are also offering the Viber out or Skype out calling facilities but you should pay to use those service which is comparatively higher costs. After several tests and reviewed, below are the best findings of NepSort’s Tech Group which allow you to make the free international call. There is some app and some are the website which is offering free international call from the web browser. However, some free calling apps required to earn credit to make a free international call. Free Calling App by PopTox is world’s first web browser based app that does not require an app download. It will let you make free calls from your PC or Smartphone. You can use PopTox from any standard web browser. With PopTox, you can make free phone calls to all mobile and landline numbers. There is no registration and payment needed to use PopTox free calling app. Like as PopTox, CitrusTel is also browser-based international calling app. CitrusTel works on any computer, Mac or Smartphone as long as you have a standard browser. With CitrusTel, you can make free phone calls to all mobile and landline numbers. Like as PopTex, CitrusTel also does not require any registration and payment needed to use free calling app. VoIPStunt and VoIPBuster are more versatile tools which you can use to make a free international call. VoIPStunt and VoIPBuster are available as a software program in PC, Mobile apps for both Android and iOS as well as browser-based calling. Both services are from the same company, but the countries offering for a free international call is somewhat different. You can use one of these in according to your needs. WhatsCall is also another app based free international calling tools. The best part of the WhatsCall app is that you don’t need to have internet connection on your receiving end side, only you need to have installed the app of WhatsCall. You can earn everyday credits to add up in your account to make a free international call from WhatsCall. Libon is another VoIP free calling App. In according to the rating of the users, it is also one of the most popular free calling apps. Libon to Libon is unlimited free call, however for the Libon to non-Libon you will get 30 minutes per month free talk time. Note that in accordance with the time and conditions, they might have changed their offers. For more details and offers, you can visit their official website from the link given above.